The winter in the Faroe Islands brings short days with little light. The shortest day is on the 21 December and it is around 5 hours and when the weather is rainy and grey, the light is even more limited. The days are now already around 2 hours longer than the shortest day. The longest day is on the 21 June. 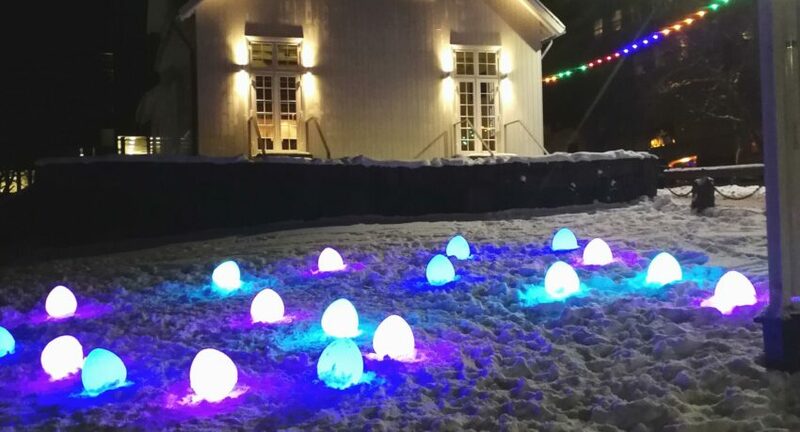 For the last years, we have celebrated the light with lights decorations, music, films and other cultural events in the capital Tórshavn. Al events are free and the atmosphere in the city is very good and positive. The event was this year on the 2 February. The photo shows the Faroese Parliament and some winter light.